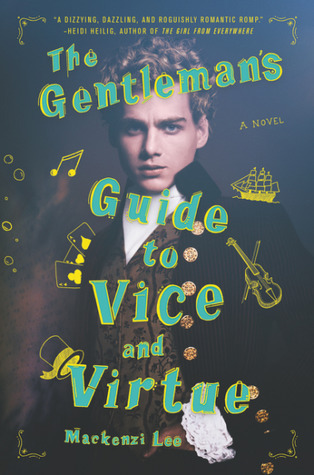 The Gentleman's Guide to Vice and Virtue by Mackenzi Lee was exactly what I needed! Why didn't I read this sooner? I mean, that was exactly my kind of YA historical fiction with some romance and a dash of fantasy. I think I'm in love with Lee's style and sense of humor. Rather than just being laugh out loud all the way through there are a lot of truly heart breaking moments for our characters. The characters really make this story - I felt like they could all walk right off the page from Monty, Percy, and to Felicity. All of them are fantastically written characters, and the best part is that all of them have flaws. I liked seeing them grow from where they started off at the beginning of their romp across the Continent - I was especially pleased to see Felicity call Monty out on his crap. Personally, I think Felicity is totally the MVP of the novel and I'm so excited to see she's the focus of the coming sequel, The Lady's Guide to Petticoats and Piracy. 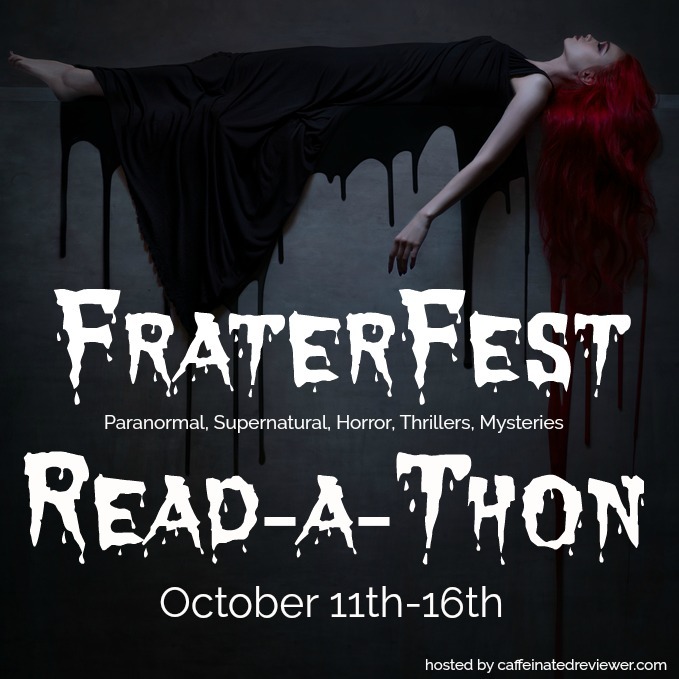 If you like the style of My Lady Jane by Cynthia Hand, Jodi Meadows, and Brodi Ashton and Stalking Jack the Ripper by Kerri Mansicalco, I have a feeling you'll like this too. By the way, did anyone else catch the moment where Monty channels his inner William Thatcher when he pulls out the, "Have you a name, my foxy lady?" I read this book from June 13 - 28 and my review is also on Goodreads. 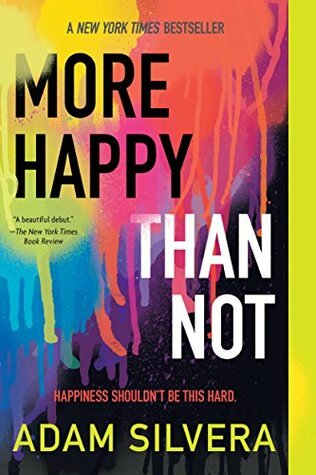 More Happy Than Not is an incredibly powerful debut. I honestly have no idea why I hadn't picked up this YA contemporary earlier. I have no excuse for it, but I'm glad I finally made the plunge during Pride Month. Aaron's story packs quite the emotional gut punch that's for sure. You may need a tissue or two to make it through this book because his life is anything but easy. By the way, Me-Crazy's name is definitely appropriate. Just judging from his debut, but I think Adam Silvera could be a new favorite. Next up, I'll have to get to History Is All You Left Me and They Both Die at the End. 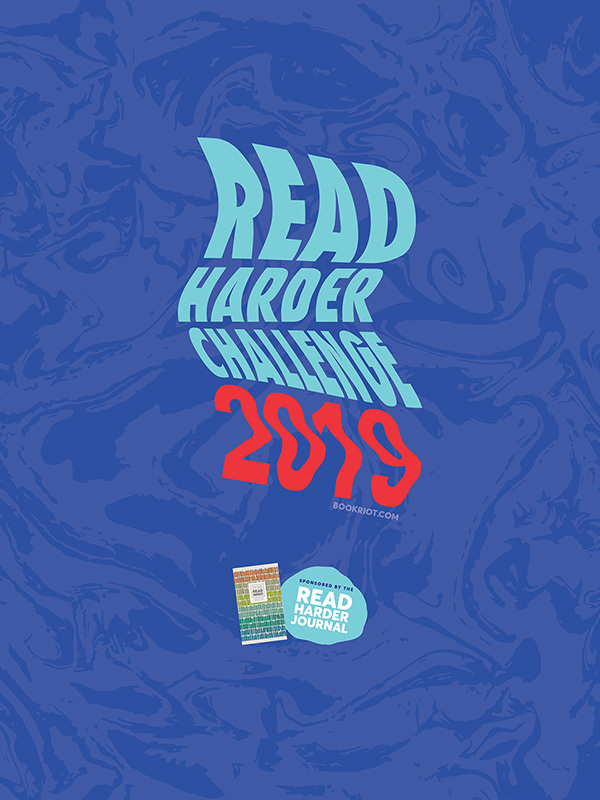 I read this Kindle library book from June 18 - 20, 2018 and my review is also on Goodreads. 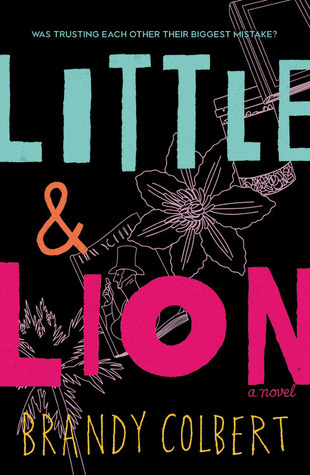 When it comes to Little & Lion by Brandy Colbert, I've seen quite a few mixed reviews featuring great, good, meh, and worse reviews, but I still wanted to try it out for myself. The description of the story sounded to intriguing to pass up. Now that it's all said and done though I have to admit I'm kind of underwhelmed. I liked that the story is so focused on complex family relationships particularly between siblings and that it features good representation for instersectional diversity. Unfortunately, I didn't feel particularly close to anyone in the story - they were lacking that spark of depth to really make me want to latch on. Overall, Little & Lion isn't a bad book in the least, but even though it has so much going for it it was a little too bland for my tastes. I read this book on June 28, 2018 and my review is also on Goodreads. 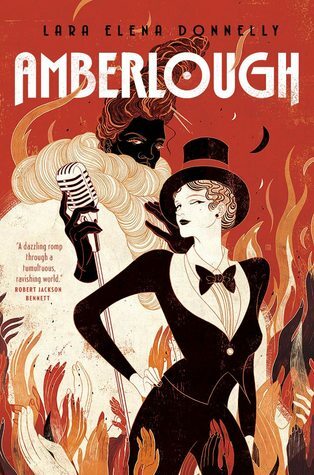 Amberlough by Lara Elena Donnelly is a brilliantly executed John le Carre meets Cabaret LGBT+ fantasy spy thriller set in a Weimar Republic, Germany-esque world. I had read many fantastic and gushing reviews of this story before going in (and just look at that awesome cover, to boot!) and, luckily for me, the story totally lives ups to it! I couldn't get enough of their world and the spies at the center of the story - Amberlough City is practically a character in its own right. All in all the story comes across as character driven and I was intrigued by everyone we met on the page, even if they were quite unlikable I couldn't help but become invested in their stories. I love the fact that many spy tactics and other things we see throughout this novel are taken from real world history. If you need a refreshingly awesome take on fantasy novels and political spy thrillers, then you absolutely need Amberlough in your life. After that ending I'm dying for the sequel, Armistice. I read this novel from June 28 - 29, 2018 and my review is also on Goodreads. Have you read any of these books before? If so, what did you think of them? Did you read any LGBTQIAP+ books for Pride Month this year? 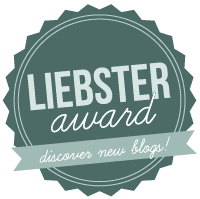 As always, thanks for visiting my blog and perhaps even commenting down below! I am kind of sad about Little & Lion, because it's one I have been meaning to get to, but if you cannot connect to any characters in a character driven book, that's a huge problem. You may end up enjoying it a little me. If you get to it let me know what you think of it. Nice selection of books. Even better that you liked them all. I haven't read any of them. I had quite a variety. They're definitely worth it if you're interested. I definitely needed a few tissues to get me through More Happy Than Not. That book tore me apart. Glad it made an impact on you too! I've been thinking about picking up More Happy Than Not for ages. Love these reviews! Gentleman's Guide is such a delight! I can't wait to read Lady's Guide. More Happy Than Not will forever be one of my favorite contemporaries; it's a story that's stuck with me for years. I really loved Little & Lion, so I'm sad to see you found it underwhelming! A few of my good friends have read Amberlough recently and loved it, and I cannot waaaait to get my hands on a copy! Thanks for coming over, Madalyn! 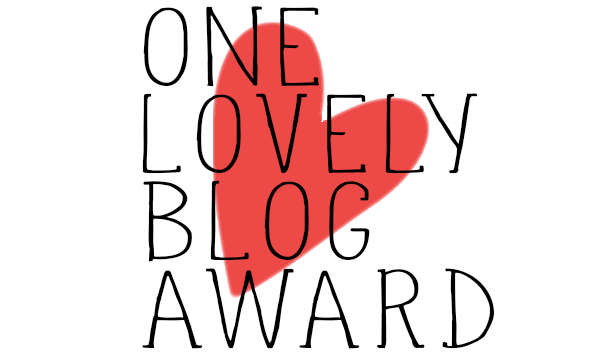 Ooh, I really enjoyed They Both Die At The End by Adam Silvera, so I hope you will too! I've yet to read his debut, but I'm still doubtful about it since I didn't like History Is All You Left Me? I don't know, haha. Hope you enjoy them both! Good to know! Fingers crossed that I'll enjoy that one as well. We'll see what happens! I haven't read any of these yet! But Gentleman's guide is one I'm really excited for. It was so fantastic. :) Hope you love it, Ash! Thanks for sharing your great reviews. Thanks for reading them, Sherry! It's great that you enjoyed most of these reads! 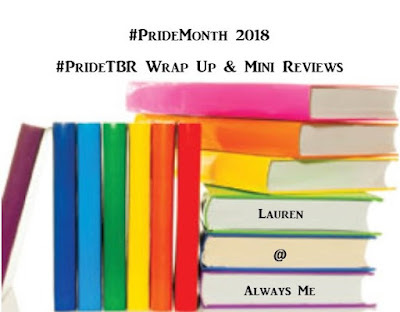 It's always nice when we have a good reading list :) I read several LGBTQ books for pride month, including a fairly new release called Reign of the Fallen that I really enjoyed. I really want to read The Gentleman's Guide to Vice and Virtue, but surprisingly my library doesn't have it. They're usually pretty good at having popular books. I hadn't heard of Amberlough but now I reeeeeaaaally want it! I still need to get to The Gentleman's Guide to Vice and Virtue! !